Get your tickets now for the screening at the Creative Alliance on September 14! Local filmmakers will premiere shorts made in 29 days all in one exciting night, capped off by a brief awards ceremony! Find out who will take home the $300 cash prize and many other awards. There are some truly amazing films that you won’t want to miss this year. Purchase tickets online at the Creative Alliance web site or by calling 410-276-1651 and check out our lineup at https://29dayslater.com/teams-screenings/. 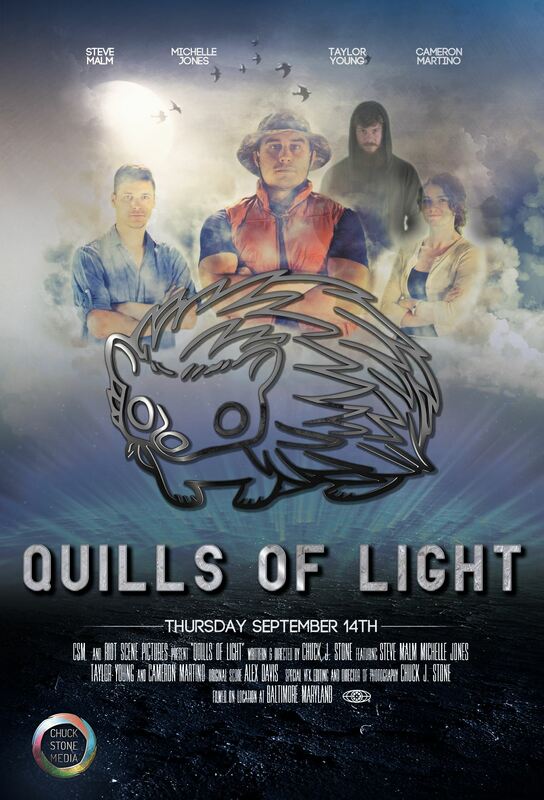 Also, a poster for CSM’s 29 Days Later Film Quills of Light that will be premiering at next week’s screening. Filmmakers, if you make a trailer or poster, please share with us and we will try our best to share via our web site and social media. Can’t wait for next week! Posted by Dawn & Dean on September 4, 2017 in Screenings, Teams.